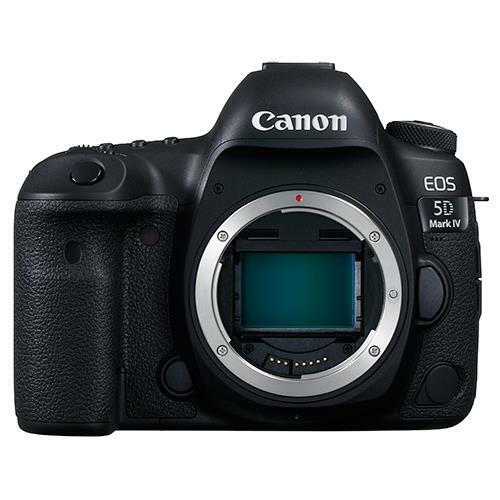 The Canon EOS 5D Mark IV represents some of the best Canon full-frame DSLR technology currently available, making it the Canon camera of choice for advanced and professional photographers alike. 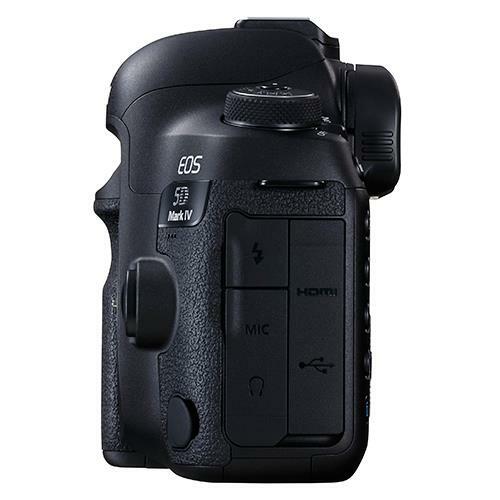 The 5D Mark IV features a 30.4-megapixel CMOS sensor, the highest resolution sensor to be included in a Canon 5D-series camera so far and it benefits from an increased ISO sensitivity range of ISO 100-32,000, which means it will deliver high quality low light images with noticeably less noise at lower ISO settings than its predecessor; the Canon 5D Mark III. 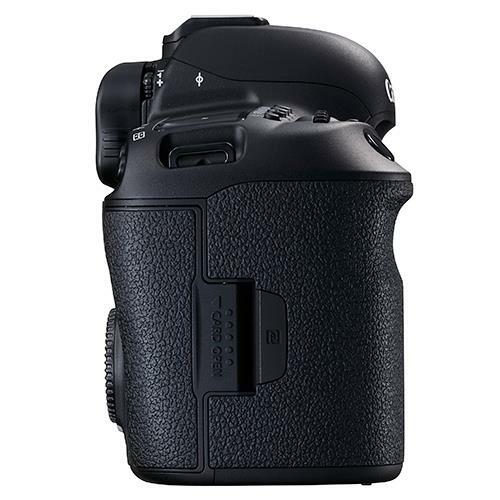 Ergonomically designed, with a deep thumb and hand grip, the Canon 5D Mark IV will feel familiar in the hands of previous 5D owners. However, it will also feel intuitive in the hands of someone new to the 5D-series, with all of its manual controls sensibly placed. 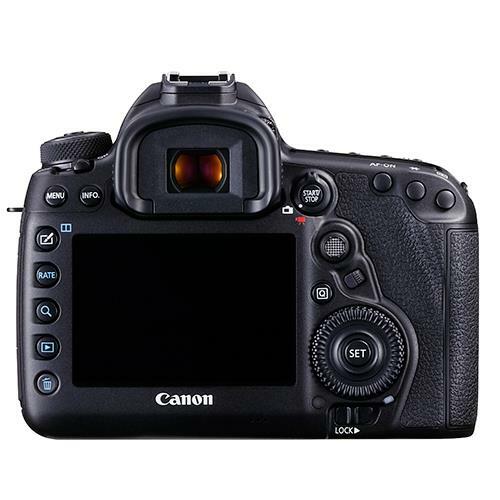 Additionally, many of the 5D Mark IV settings can be quickly adjusted via the camera’s highly responsive 3.2-inch touchscreen. One of the strongest features of the Canon 5D Mark IV is its improved focusing, thanks to Canon’s Dual Pixel CMOS AF, which uses on-sensor phase detection to improve its autofocusing and subject tracking capabilities. 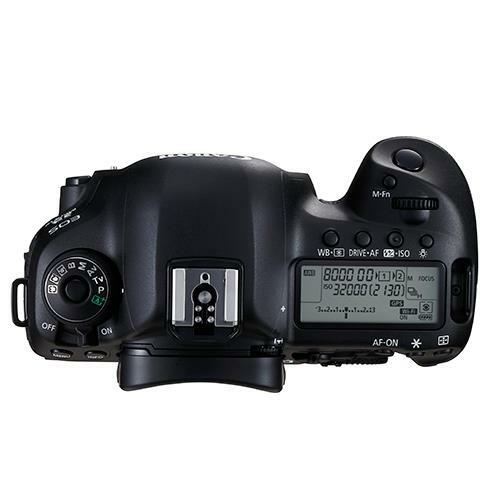 The new AF system also supports Servo AF during live view, another first in a Canon 5D-series model. The 5D Mark IV shares the same 61-point AF system as the Canon flagship 1DX Mark II, capable of achieving focus in lighting conditions as challenging as -4EV. 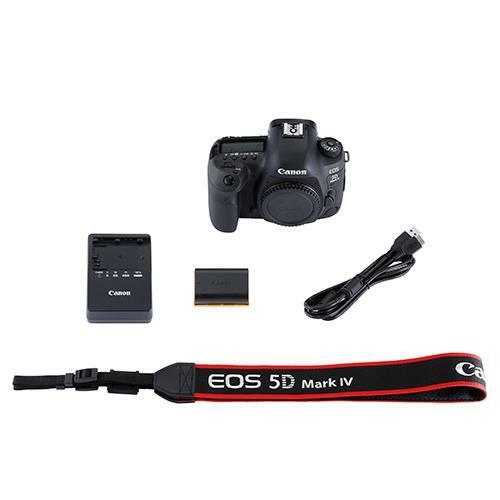 Although this is primarily a DSLR camera for photography, the Canon 5D Mark IV has a lot to offer people who are also looking for a DSLR camera for video. The 5D Mark IV can record 4K-video in the cinematic DCI (4096x2160) standard at 30/25/24fps internally, as well as Full HD recording at 60fps and 120/100fps recording in the lower resolution 720p. When recording in 4K resolution, it is now possible to select and save an 8.8-megapixel JPEG during playback from within the camera. Advanced video users will appreciate that 3.5mm microphone and headphone inputs are also included, while uncompressed Full HD footage can be output to an external recorder or monitor via HDMI. Thanks to a built-in GPS chip it's possible to tag the 5D Mark IV's images with location data. And there's no need to worry about the system flattening the battery when the camera's not in use, because it can be set to turn off when the camera is switched off. Meanwhile Wi-Fi and NFC (Near Field Communication) connectivity enables you to share images quickly via your smartphone or tablet and use Canon Connect Station CS100. Professional 5D Mark IV photographers will also love the fact that IPTC metadata can be embedded, and there's FTP/FTPS networking capability built-in. Canon 5D Mark IV – Is it right for you? 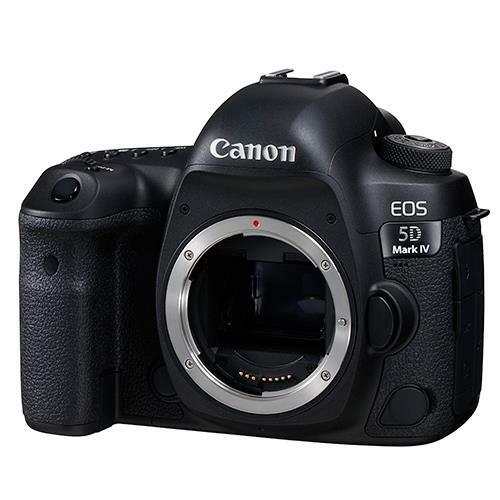 With its speedy AF, weather-sealed magnesium alloy frame, high resolution sensor and 4K-video recording, as well as its improved focusing and processing power, the Canon 5D Mark IV is a highly versatile and reliable DSLR camera. Whether your chosen area of photography is studio-based or outdoors, photographing posed models or active subjects like wildlife or events, the 5D Mark IV is one of the strongest all-round offerings in any camera class.